Hurricane Bud began to weaken rapidly Tuesday, dropping from a Category 3 to a Category 1 storm, forecasters said. 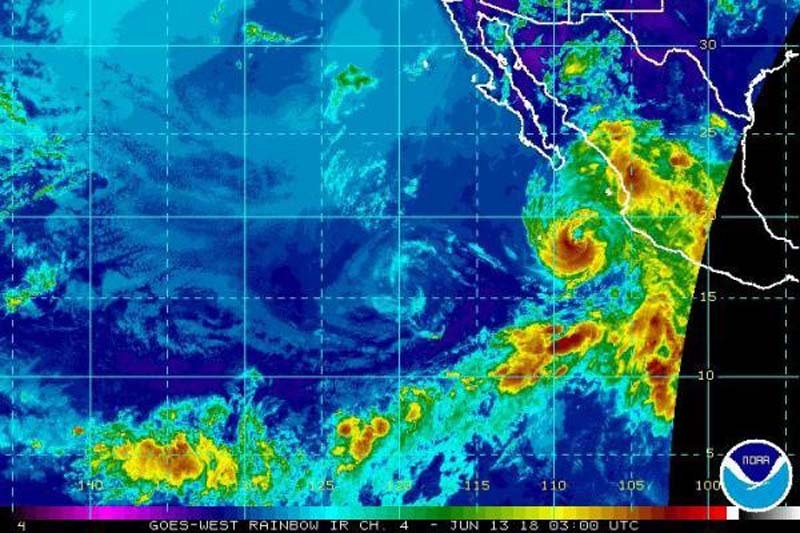 Bud is forecast to weaken below hurricane intensity by Wednesday night and approach southern Baja California Sur on Thursday, the National Hurricane Center said in a 11 p.m. EDT update. Its center was located about 300 miles southeast of Cabo San Lucas. Bud is packing 90 mph winds and moving northwest at 3 mph, the NHC said. The storm became a major hurricane Monday when it surpassed Category 3 for the first time. The Mexican government issued a Tropical Storm Watch for southern Baja California Sur from Santa Fe to La Paz, including Cabo San Lucas. It is expected to deliver 2 inches to 4 inches of rain to southwestern Mexico and up to 6 inches in some parts and 1 to 3 inches of rain with isolated totals of 5 inches across southern portions of Baja California Sur and Sonora in northwestern Mexico through Saturday. Bud is the second major hurricane to develop in the eastern Pacific this year, following Hurricane Aletta last week. Aletta weakened to a remnant low on Monday. Bud's intensity marked the third time on record the first two named Pacific storms of the season became major hurricanes.